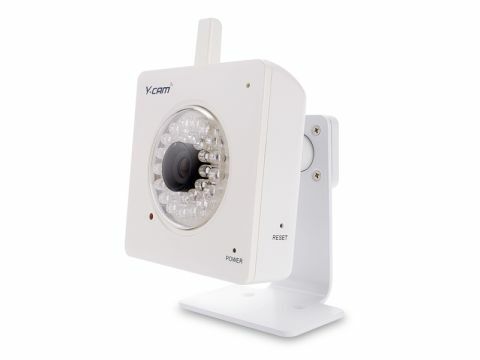 Cameras like the Y-Cam Knight SD include a web server which, when configured, can let you see inside your home from anywhere in the world. But the Y-Cam Knight's big innovation is the price. At under £200 for a motion sensitive camera with night vision, the Knight puts home security within everyone's reach. Setup is impressively simple. Just plug the camera into your router and install the included software. You can even omit the last step if you've got control of your router, since the external software's only job is detecting connected cameras on your network. Everything important is included on the camera itself, and after giving it your wireless credentials, it's off, functioning as a completely separate unit with no host computer required. The software on the unit is as good as we've seen, with a well-designed web-browser layout and a host of alert functionality, from email to FTP upload, and microSD integration for offline backup if needed. The camera's picture is top quality, if not ultra hi-res. Its 640x480 sensor is especially impressive when combined with the ring of infrared LEDs that surrounds it. While the colour definition in daylight isn't great, the clarity of the night-vision pictures is utterly fantastic. You can even combine alternating frames into a single image, cutting the frame rate but increasing the brightness of dark images. Tuck this in a corner, set up email alerts on your iPhone, and you've got a 24/7 home security solution, wherever you are.